Obituary – Edgar, Alma Fern (Johnson) « Perry High School Alumni Association, Inc.
Peroma Staff; Girls Reserve; Red Hots; Scopics; Perryscope Staff; Citizenship. Alma Fern Edgar, 74, Perry city clerk and City Hall office manager for 21 years, died Monday morning at a Tulsa hospital following a brief illness. Funeral will be at 2 p.m. Wednesday at the First United Methodist church at Perry. Rev. Wayne Brooks will officiate. Burial will be at Grace Hill cemetery under direction of Moore Funeral home of Tulsa. Mrs. Edgar’s body will be at the church from 10 a.m. Wednesday until service time. 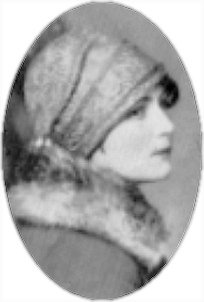 Born at Orlando, July 7, 1909, she was the daughter of Robert and Isabella Johnson. She attended rural schools in the Orlando community and attended Oklahoma State University. She received her teaching certificate from Phillips university. She and Harry Edgar were married Jan. 19, 1934, at Wellington, Kan. The couple made their home in the Orlando community. Mrs. Edgar became a Perry city employee on Sept. 11, 1953. Her husband preceded her in death in August, 1971. 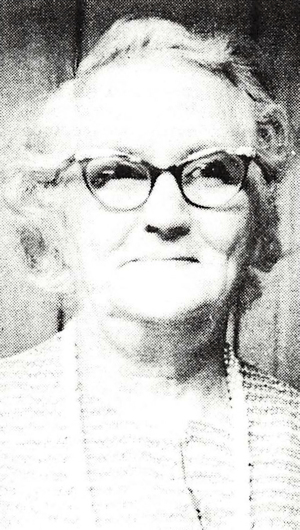 Mrs. Edgar retired from her city post on Aug. 1, 1974. Following her retirement, Mrs. Edgar moved to Laverne to make her home with her son Jack, and his family. In 1978 they moved to Collinsville. She was a member of the United Methodist church at Perry. In addition to her son, Jack, of Collinsville, survivors include another son, Max Edgar, of Enid; a brother, Buck Johnson, Perry; two sisters, Betty Kirkhart and Bertha Kemnitz, both of Perry; and five grandchildren. Memorial contributions may be made to Make A Wish foundation that is operated by the Oklahoma City Fraternal Order of Police to benefit terminally ill children. Contributions may be sent to the Fraternal Order of Police, 1624 S Agnew, Oklahoma City, OK 73106.